Researchers from the Hungarian Academy of Science have created a swarm of 30 drones that ‘think’ and fly collectively with no human input. 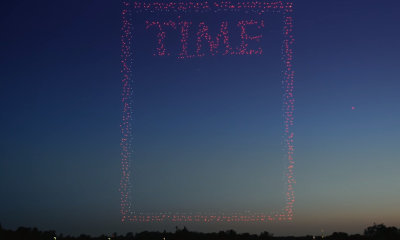 Although flocking behaviour had been demonstrated in computer simulation, this represents the highest numbers of drones that simultaneously flew without being centrally controlled. 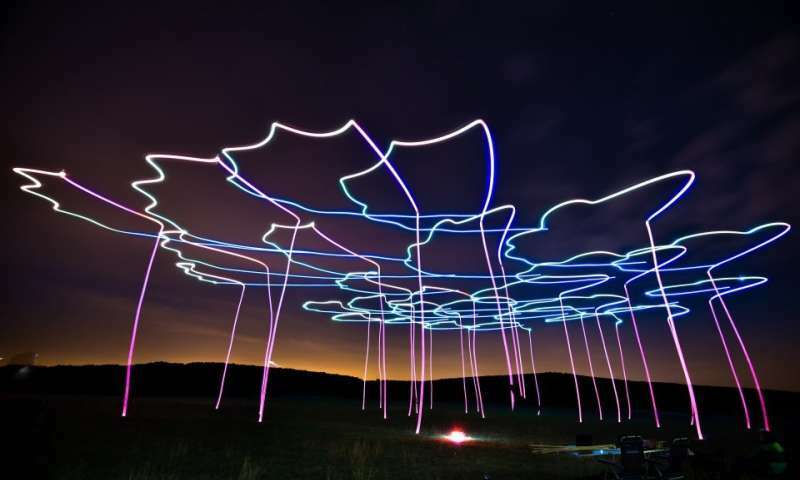 Quartz magazine report that the drone swarm was designed for applications such as carrying out rescue missions, fighting forest fires, monitoring crowds, mapping or performing precision farming. The technology also offers the likelihood of fewer drone crashes, similar to how autonomous cars crash less than those driven by humans. What makes this swarm different from others we’ve seen? 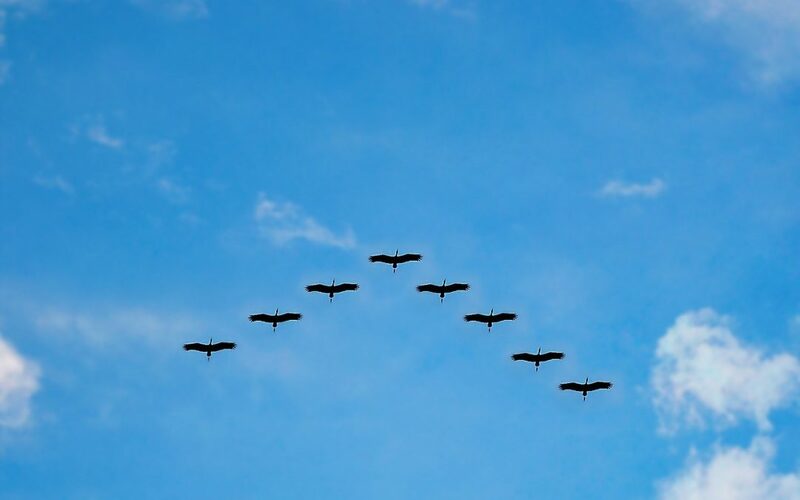 Drone swarms are typically programmed in advance to follow particular synchronized patterns. 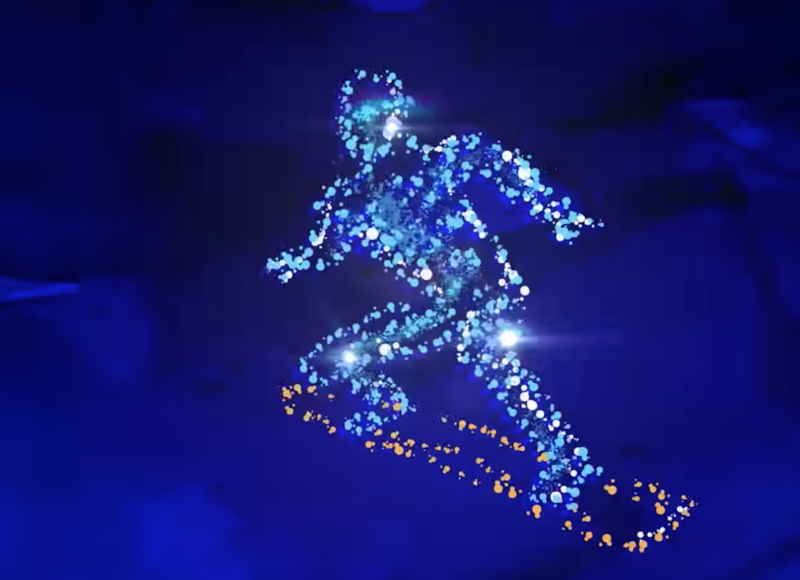 Remember the Intel drone light show at the recent Winter Olympics? 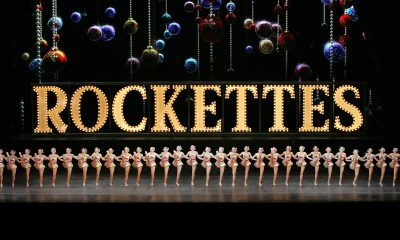 They flew in intricate formations during an extended performance in the sky. 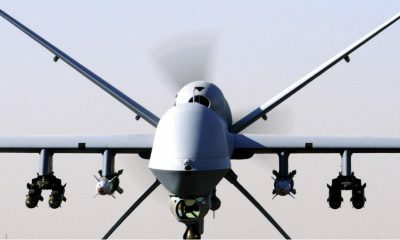 The Intel drones were programmed in advance to perform a particular routine. 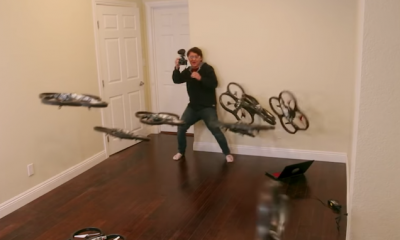 In contrast, this new drone swarm has no predetermined route prior to takeoff. There are certain parameters that the drone swarm must adhere to (e.g not fly into restricted air zones) but they will not have active input from a pilot on the ground once they take flight. 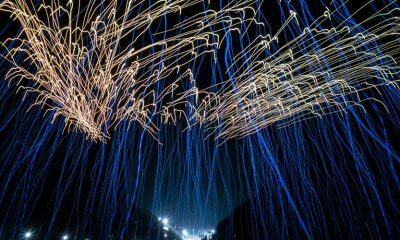 An enormous drone swarm at the Pyeongchang Winter Olympics form the shape of a snowboarder in the sky. These drones were controlled. In order to create successful dynamics between the drones, the scientists working on the project studied how groups of animals, such as birds or fish, moved together en masse. Each drone is equipped with a sensor which helps it know and communicate its position with other drones as part of the swarm. All drones can share information from their sensor about what they are seeing at any given moment. Drones at the front of the swarm can tell the drones at the back what to do based on what they see, such as informing the rest of the drones about an upcoming obstacle. This dynamic means that the drones ‘think’ as a swarm. Scientists working on the drone swarm looked to nature for inspiration for how drones could fly autonomously together.